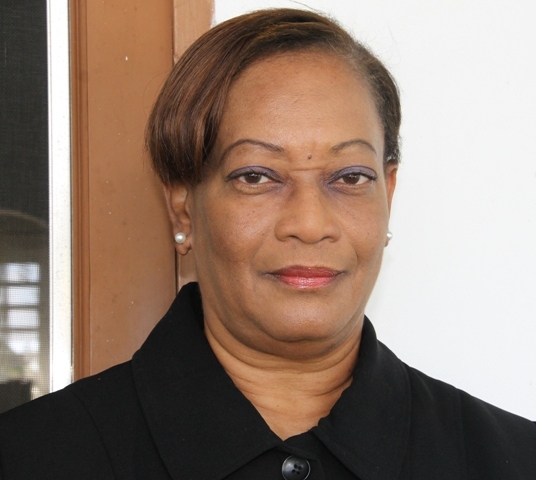 NIA CHARLESTOWN NEVIS (January 12, 2015) — Justice Lorraine Williams is the new Resident High Court Judge for Nevis. 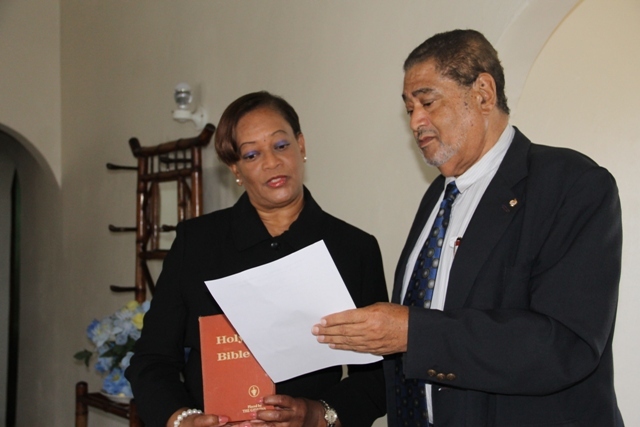 She was sworn in by Deputy Governor General His Honour Eustace John, at his Bath Plain office on January 12, 2015. At the end of the brief but significant ceremony, Justice Williams told the Department of Information, that she was honoured to be appointed by the Hon. Chief Justice of the Eastern Caribbean Supreme Court (ECSC), to fill the position on Nevis. She gave her commitment to serve with fairness. “I want to pledge my support to the people of Nevis in that I will continue to deliver justice without fear or favour, with impartiality and fairness and of course, to make Nevis my home now because I am here permanently. So it’s quite a pleasure for me to be here,” the new Resident Judge said. 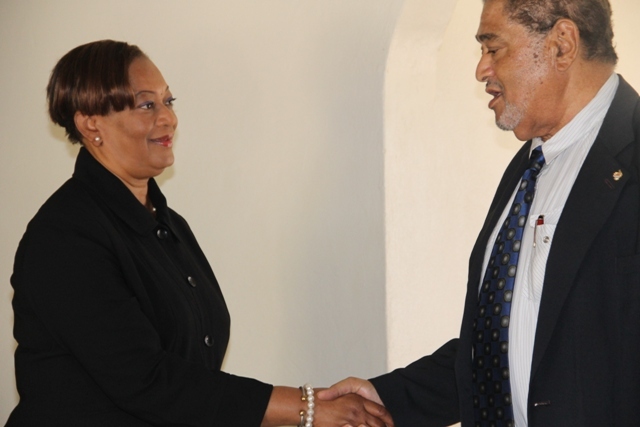 The Deputy Governor General used the opportunity to congratulate Justice Williams on her appointment and wished her a long stint in her new position on Nevis.